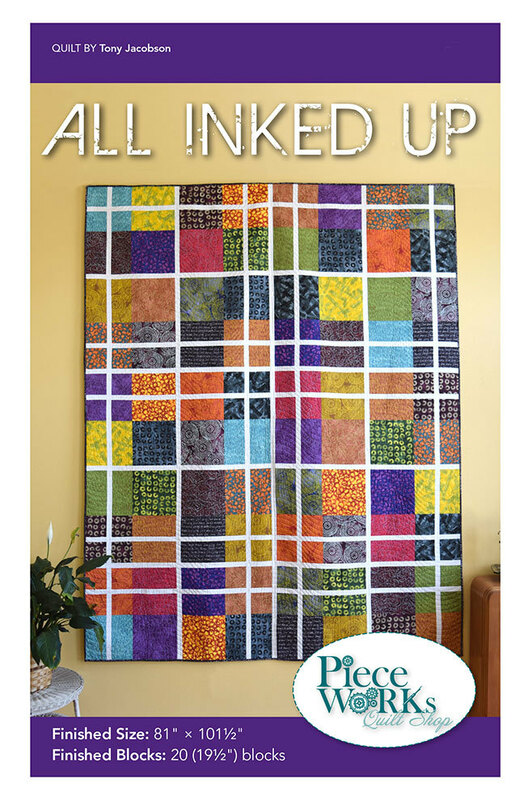 This quilt is no shrinking violet! It’s definitely bold and works well to show off large and interesting prints. 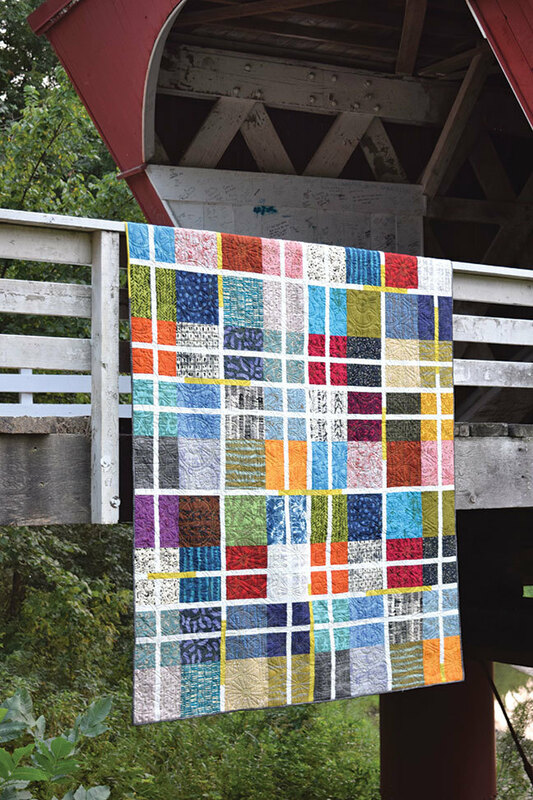 A clever technique makes this an easy quilt to piece. This pattern works well with pre-cut 10-inch squares.